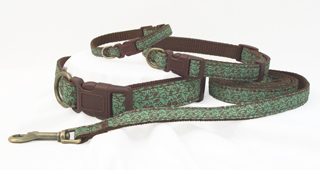 Mint green and chocolate brown vine pattern collar and leash. 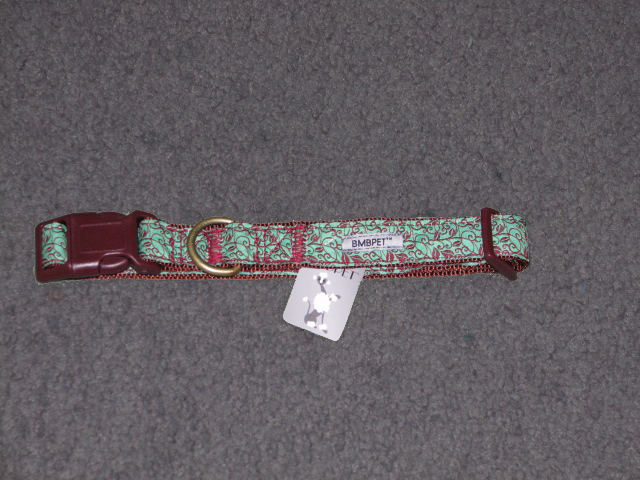 This unique collar and leash brightens up every dog. Collar and leash are made to last with top quality nylon. 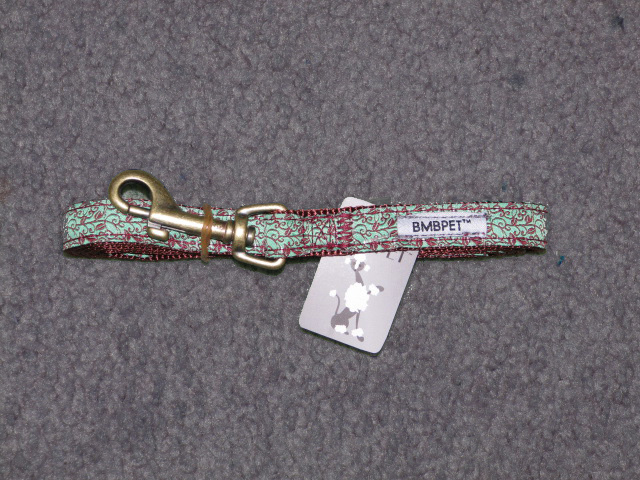 The beautiful collar is available in adjustable small(3/8" x 8-14"), adjustable medium (5/8" x 14-20"), and adjustable large(1" x 15-26").